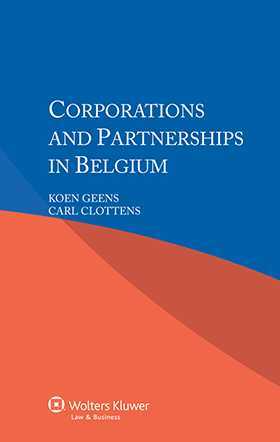 Derived from the renowned multi-volume International Encyclopaedia of Laws, this practical analysis of the law of business formations in Belgium provides quick and easy guidance on a variety of corporate and partnership considerations such as mergers, rights and duties of interested parties, stock exchange rules, labour laws, and takeovers. Lawyers who handle transnational business will appreciate the explanation of local variations in terminology and the distinctive concepts that determine practice and procedure. A general introduction covering historical background, definitions, sources of law, and the effect of international private law is followed by a discussion of such aspects as types of formation, capital, shares, management, control, liquidation, mergers, takeovers, holding companies, subsidiaries, and taxation. Big companies, various types of smaller entities, and partnerships are all covered in turn. These details are presented in such a way that readers who are unfamiliar with specific terms and concepts in varying contexts will fully grasp their meaning and significance. Thorough yet practical, this convenient volume puts the information necessary for corporations to compete effectively at the user’s fingertips. An important and practical tool for business executives and their legal counsel interested in engaging in an international partnership or embarking on corporate expansion, this book will prove a valuable time-saving tool for business and legal professionals alike. Lawyers representing parties with interests in Belgium will welcome this very useful guide, and academics and researchers will appreciate its value in the study of comparative business law.